You Can Get Certified Too! We are dedicated to bringing our years of industry expertise to your team. 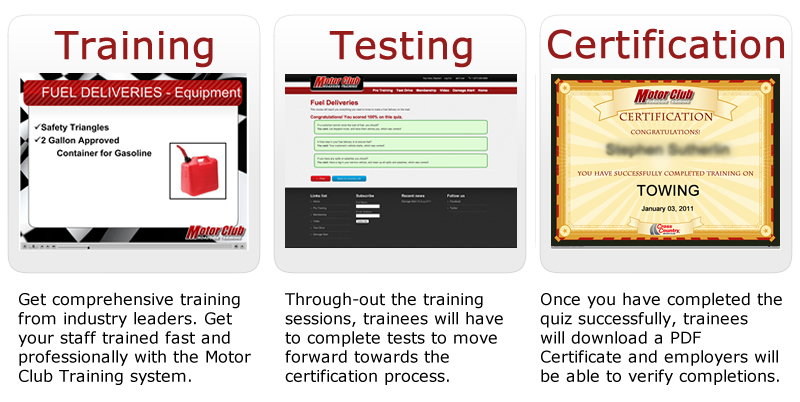 The Motor Club Training system brings real industry knowledge to your fingertips. Once you have completed one of our certification courses, you and your team will be equipped with the best practices for industry standard towing. Watch our video to learn more about the features of Motor Club Training and examine a sample course to get a feel for our content. Certify your entire staff with our Pro Certification series. Or, if you just need someone on your team to brush up on their customer service skills, Motor Club Training can help. Get your organization thinking like top performing businesses across the country. Resources for members include training, certification, documentation and instructional videos to help your business run more smoothly and your training efforts to be more productive. 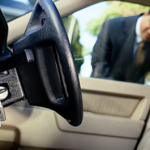 Motor Club Roadside Training offers the best-in-class roadside assistance training online. We provide the most comprehensive learning platform in the industry and are poised to educate other professionals to sharpen their roadside assistance skill sets. With our in-depth training lessons, detailed instructional videos and challenging exams. Motor Club Roadside Training provides the best step-by-step instructional tow truck training and certifies the student after they successfully pass the testing process. 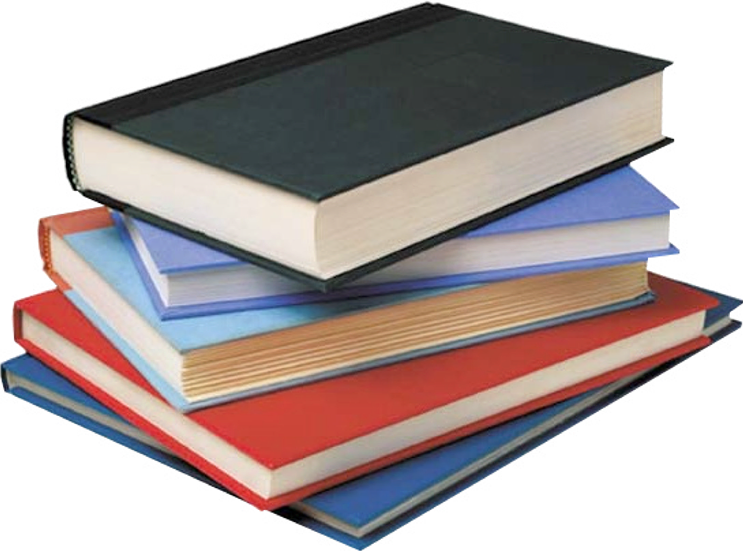 Every successful Pro or Master student will be able to print their certification upon completion. 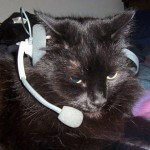 Excellent customer service is at the center of successful organizations. Our training stays customer focused and helps to educate your staff that customer service begins with how they themselves choose to handle interactions with the customer. Learn all of the aspects of the towing industry, starting with towing, roadside services and dispatching. Dispatching is vital to your operation running smoothly. 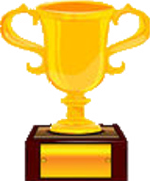 With our Dispatching certification we will review industry best practices for your dispatchers. 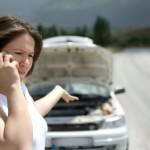 Towing and Roadside Assistance are also available. Motor Club Training offers the best-in-class training online! Check out all the features offered with our membership program. With the ability to customize our training to your need, MotorClubTraining.com is truly affordable. You can either take one course as a topical refresher like “Customer Service” or “Towing”. 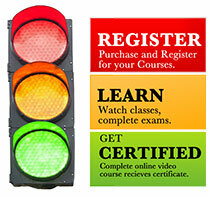 Or sign up for a certification track if you need an employee to be trained or to correct an employees’ bad practices. 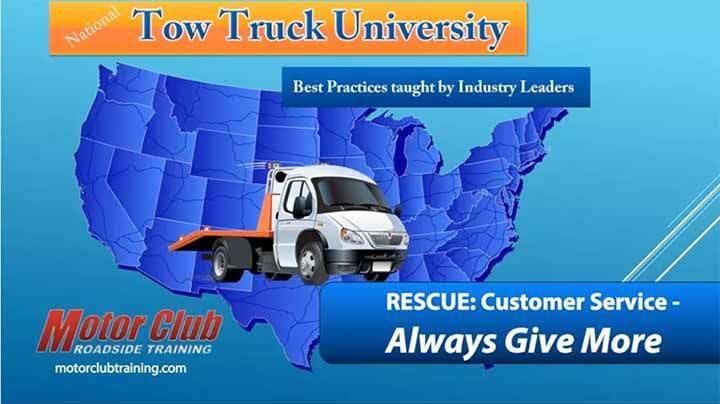 Welcome to Tow Truck University's Roadside Training for MotorClub Drivers. We focus on taking your professionalism to the next level with best practices from Industry Experts who have over a million successful calls. Select the course of study that is right for you. Add either a certification program or an individual class to your shopping cart, purchase or enter your coupon code and get to work. It's just that easy to improve your customer satisfaction, reduce complaints and most importantly damages. Start by picking one of our popular courses below.